Conveniently file, track progress, and manage your claim online. 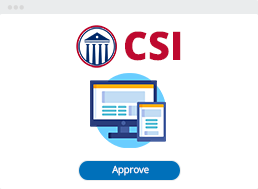 Get your claims compliant and manageable with a CSI online account. Resolve your moving claims with CSI. who are already using CSI. 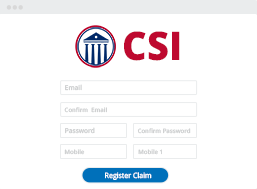 CSI Makes it simple to settle your moving claims. Register your claim in under 5 minutes. Add items and support in a guided step-by-step process. Review and accept your moving claim settlement offer online on any device. Verify your customers and upload their move documents. Approve the settlement offer before it goes to the customer. Release Form is emailed to you and saved to your account. CSI, the leading moving claims service provider in the country. 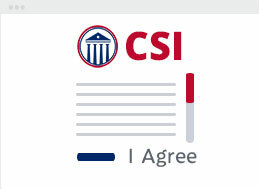 CSI has raised the bar in the moving claims industry. Providing there is an internet connection, CSI can be accessed at any time from anywhere in the world, making life easier for those people that work across multiple sites and on-the-go. 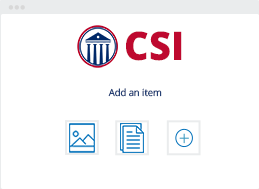 Access your account to review your claims, upload move documents and pictures, and take actions more efficiently at your convenience and on your time. CSI complimentary phone support helps you bridge the gap between the promise of success and the realities of execution. With ever-changing regulations, we have the expertise to keep you in compliance, along with the tools to help you maximize effectiveness. 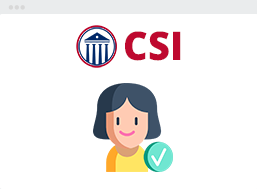 CSI's system features instant and detailed reports for QA departments, DOT audits, and free unlimited online claim file storage. Manage your claims with peace of mind. 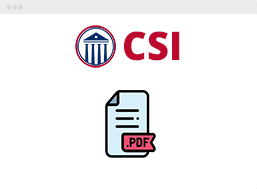 CSI secure and safeguard any sensitive data that is being uploaded to our system. We keep your personal and move-related information private and do not share it with 3rd party advertisers. information to submit a new claim.